It’s a dog’s life in one Cumbrian town. Keswick has been honoured by the Kennel Club, a group devoted to protecting and promoting canine health, as a great place to be a pooch. It has been given the top prize in the Most Friendly Town Category of the group’s Be Dog Friendly awards. This happened after Keswick received the greatest number of nominations for the prize, which is decided by public votes. It is the third time in a row the town has taken the prize. More than 10,000 nominations were made via the club’s websitefor each of the 10 prizes on offer. Linda Furniss, tourism officer with the Keswick Tourism Association, said: “The very nature of our locations – a historic town nestled between Derwenwater and the mountains – makes our wide open spaces a perfect playground for four-legged friends and their two-legged owners. “I think that is why we have won the ward for the third time in a row; we didn’t have to make a subconscious decision or effort to become dog-friendly – we genuinely are a perfect place to come on holiday with your dog. “The increased profile we have gained from winning this award has brought us more visitors with dogs – and this has led to more eating and drinking places opening their doors to dogs. Caroline Kisko, Kennel Club secretary said: “We are so pleased for Keswick. It is great that popular places to visit are being so proactive in helping us break down barriers for our four-legged friends. The prizes were presented at a ceremony at Earls Court in London. 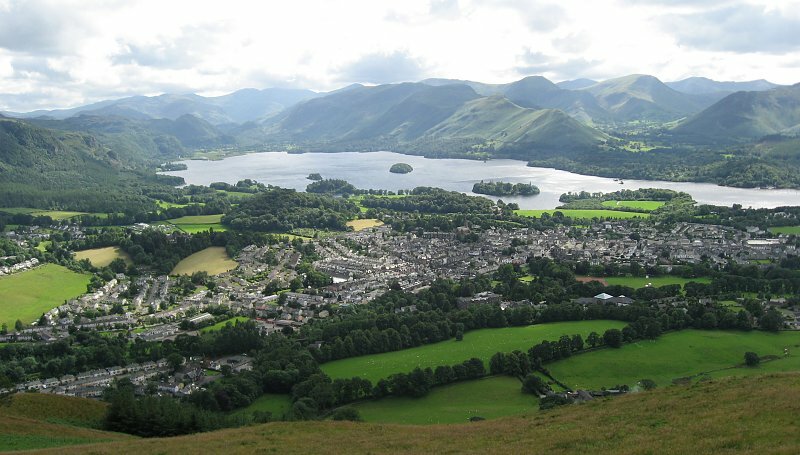 Alongside Keswick, the Lake District was also successful, taking the top prize in the Great Outdoors category.